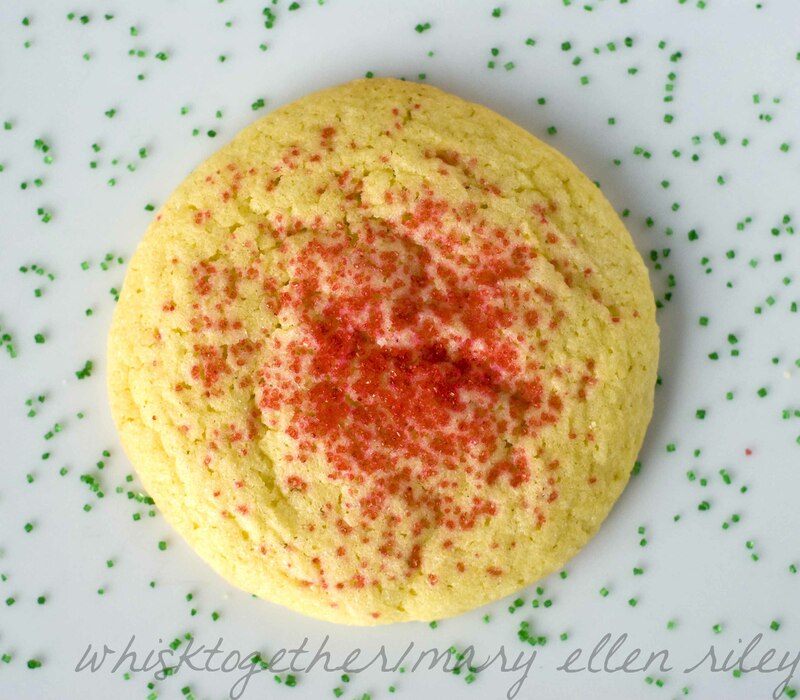 Leave it to America’s Test Kitchen to make the quintessential sugar cookie. These remind me of the sugar cookies you buy in bakeries – buttery, sweet and chewy in the center with a little crunch on the outsides. 2. Pour 1/2 cup of sugar into a bowl for dipping. 3. 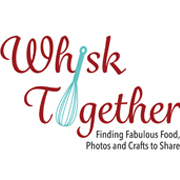 Whisk together the dry stuff: flour, baking powder and salt. 4. With your mixer, beat the butter and 1 and 1/2 cups of sugar on medium for 3-6 minutes. You want light and fluffy. Add vanilla. Add eggs one at a time. Mix until combined and scrape down the bowl. 5. On low, add the flour mixture gradually until just combined. 6. Get your hands wet because this dough is really sticky! Take 2 Tb. of the dough and roll it into a ball. Then, dip that in the sugar bowl you set up earlier. Place on a cookie sheet and flatten a little bit with a drinking glass that has been buttered on the bottom. Sprinkle some extra colorful sugar on top at this point or any leftover regular sugar. Bake 10-12 minutes. yum, I love an each cookie, and these sound great.